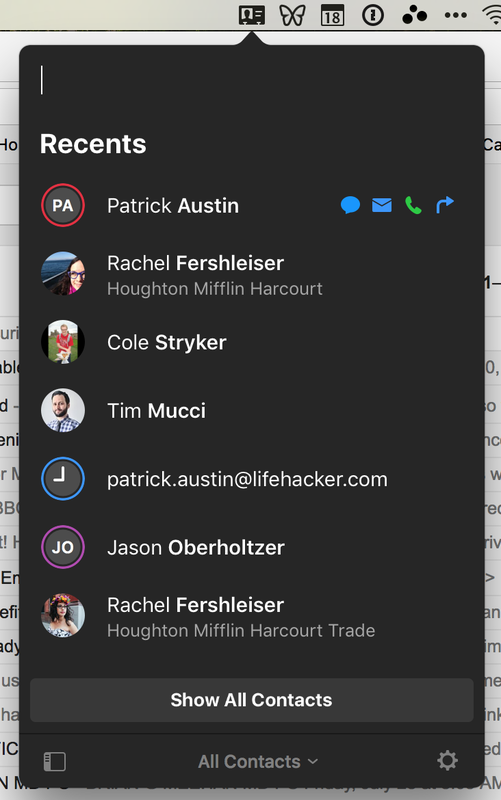 Mac: Flexibits, creators of Lifehacker's favourite calendar app Fantastical, has released its command-line approach to contacts with Cardhop. 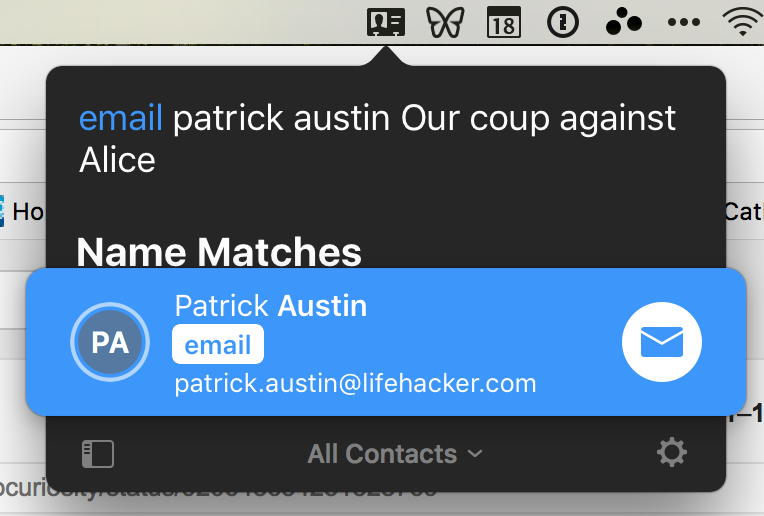 This new contacts app is oriented around actions rather than your contacts database; you mainly use it by writing commands, kind of like talking to Siri. It's a potentially compelling interface — if you can remember to use it. Adding and updating contacts much easier in Cardhop than in Contacts. You can copy-paste someone's entire set of contact info into the command line and it sorts it all out. It understands a whole chunk of text like "Emily Schermerhorn 555-889-4105 73 E 5th St New York NY 10013 birthday november 12 twitter schemilyyy." You can update contacts just as easily; once Emily is created, you can add her blog by typing "emily schermerhorn URL schermerly.com" — the name brings up her card and the rest fills out the info. The app also supports contact groups, so you can email or text a whole pre-determined group with one command. It's useful if you work with teams, or D&D groups, or secret cabals. Of course, because Cardhop isn't on iOS, you probably won't have it handy most times you're adding a contact, or texting, or calling. But if you often switch from computer to phone mid-task, this might save you a couple seconds each time. 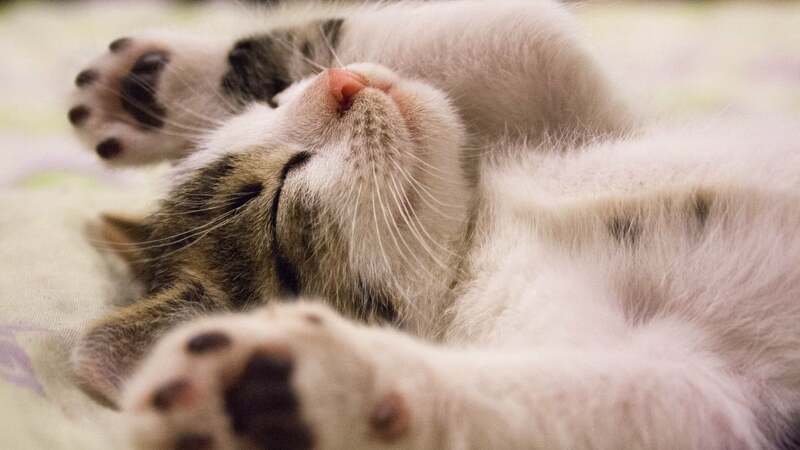 For example, you can start a call from your desktop and send it to your phone. Cardhop relies on all your existing accounts, and it only accesses them through your Mac's Contacts app. Which means that your Gmail, Exchange, or Facebook contacts only sync to Cardhop if you sync them to Contacts first. To start an email from Cardhop, you need to enable your preferred email client to handle all email links. If you're scoffing at me for not having these things already synced up, then Cardhop is for you. Cardhop can only access accounts that will sync to Apple Contacts, so you can't use it to open Snapchat or Signal or Whatsapp. This limitation will only grow as messaging apps continue to proliferate, unless Apple catches up with integration support. Like Fantastical, Cardhop will seem pointless to some people, and life-changing to others. I didn't "get" Fantastical until I needed to juggle multiple shared calendars in a customised interface. Similarly, Cardhop will help you if you struggle with the limitations of your different contact lists — but only after you sync all those lists to your Apple Contacts. Apps like this, that try to entirely rethink a common workflow, face a challenge. To really take advantage of them, you have to unlearn your old approach. Siri lives or dies by whether you think to use it before crawling into an app. So does Cardhop; it's only useful if you can unlearn your habit of cracking open Gmail, Skype, or Messages. Even then, Cardhop is just an efficient launcher. You still have to finish the job inside the other app. For some, this will still be compelling enough. If you love Siri, Quicksilver, Alfred, Slackbot, and IFTTT, or you have favourite keyboard shortcuts, this might be worth the twenty bucks. For that money, you'll get a few years of solid updates, if Flexibits's track record with Fantastical is any indication. There are certainly features left to flesh out. Cardhop is just powerful enough to make me think of a dozen other things I wish it could do. I frequently made up commands that felt like they should work. I kept meeting the limits of its context recognition. I couldn't start the actual content of my texts in the command line. And while the app can identify identical contacts from multiple accounts, it doesn't merge the merely similar ones. It's not going to solve all the problems with your current database of contacts; in fact, it will inherit them. And as far as I can see, there's no Fantastical integration. So now I've got one more command line to deal with, and one more app sitting in my crowded menu bar. In the end, this app would be much more useful if it were part of OS X. But so would most menu bar apps. Cardhop shows a lot of promise — not in the sense of "version 2 will be great", but in the sense of "version 1 might be amazing and I don't know it yet". Everyone with a phone and a computer could get some use from it, but only certain people will appreciate its approach. If it intrigues you, you should definitely grab the 21-day free trial. I'll keep testing it and check back. This one will take a while to prove its worth.